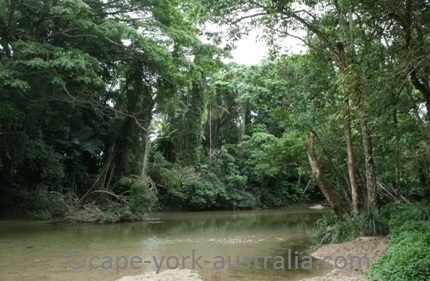 Mossman australia is a beautiful rainforest town. It is in a beautiful green setting just a little bit away from the coast, surrounded by some lush tropical rainforests and sugar cane farms. 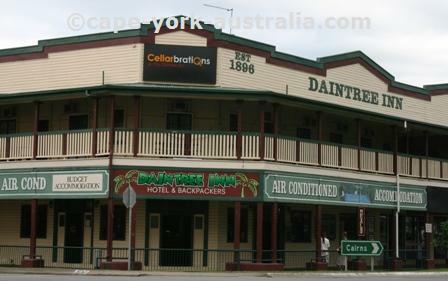 I remember it as a quiet old country town, and it still is compared to the neighbouring Port Douglas. But with some colourful shops and art galleries, tours and now the new Mossman Gorge Centre, the town definitely has started to change. 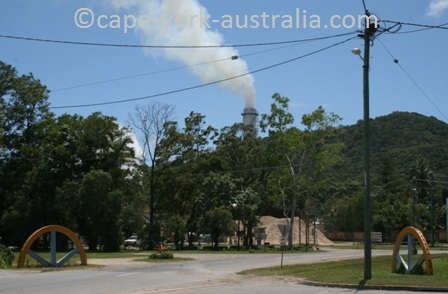 Just like many other towns in north Queensland that are surrounded by sugar cane farms, the town has a sugar mill, where the cane is processed. During the cane cutting season, between about mid July and mid November, you can visit the mill on a guided tour. Colourful shops have started to open and so have art galleries. 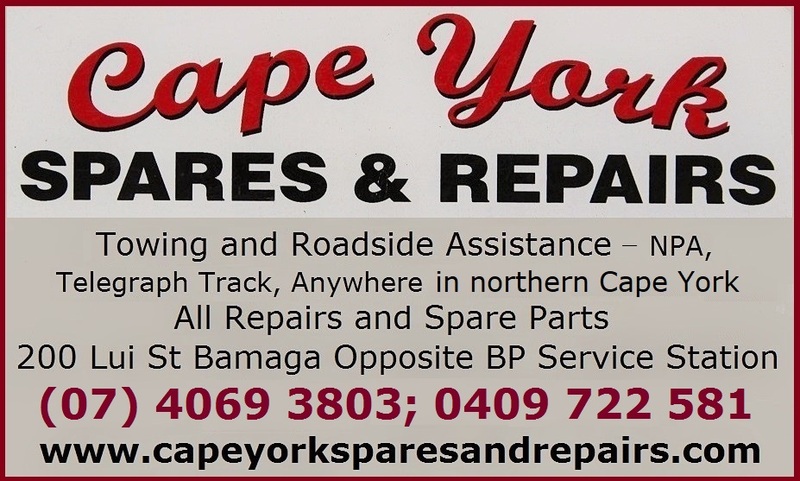 There are fashion shops, gift shops, homeware, tools, sports shops, video shops and second hand shops - the kind of shops you won't find in the neighbouring touristic Port Douglas. There are markets on Saturday mornings. There are also some places to eat. 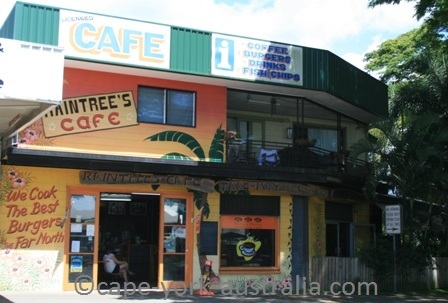 The old Raintree's Cafe is still there and still popular, and of course there are also the old pubs. But nowadays there are also other, newer places, most along the main street. The town's hotels are all old pubs, where you can get a meal and drinks in the public bar downstairs; and there are hotel rooms upstairs. There are a few of them along the main street. In the northern end of the town is also a caravan park. 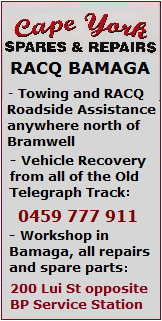 Not far from the caravan park is where you get to the river. It's a great place for a cool dip on a hot day. Turn left after the bridge, there is a park with a picnic table and toilets, and in the end of that park is the river. It's a beautiful spot in the rainforest. 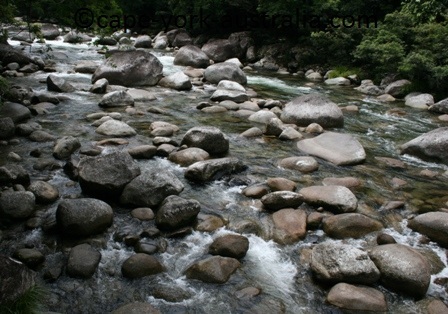 But even more beautiful is Mossman Gorge. It is the town's number one tourist attraction. 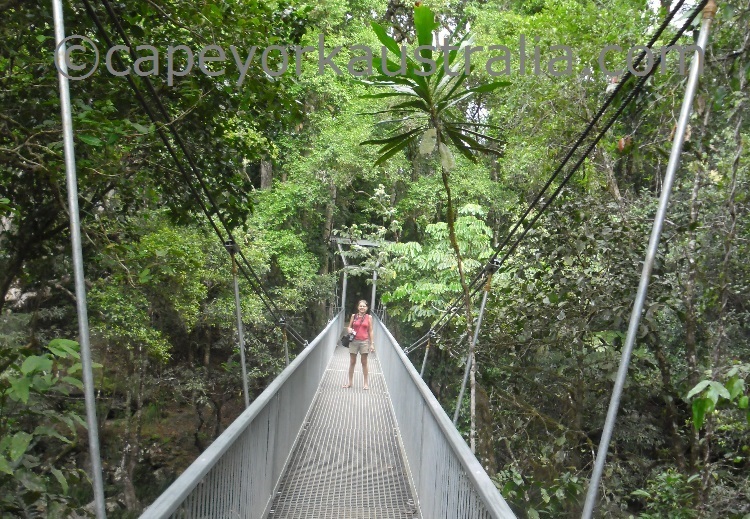 It is a beautiful gorge with some very nice swimming holes, and nowadays there is also a lookout platform, a new suspension bridge and a few km walk through some amazing rainforest. and the rest of You can do the gorge on a tour run by local Aboriginal people. 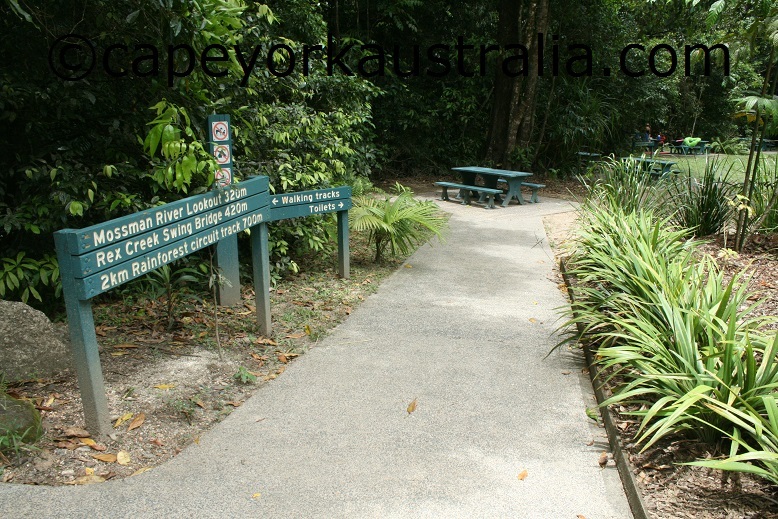 But there are also other tours in case you are in Cairns, its Northern Beaches, Palm Cove or Port Douglas, you can join a tour that takes you to Mossman and also Cape Tribulation and Daintree Rainforest. The Gorge is absolutely beautiful. 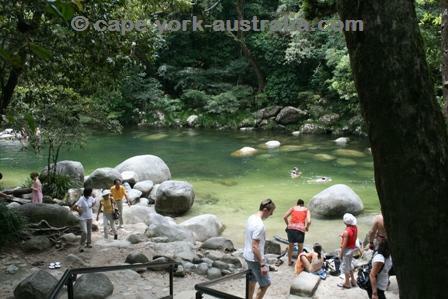 And there are some great swimming holes - very nice for a cool dip on a hot day. I remember the place from days when you could come here and have the gorge for yourself - not anymore. The entrance nowadays. All photos subject to Copyright - do not copy. 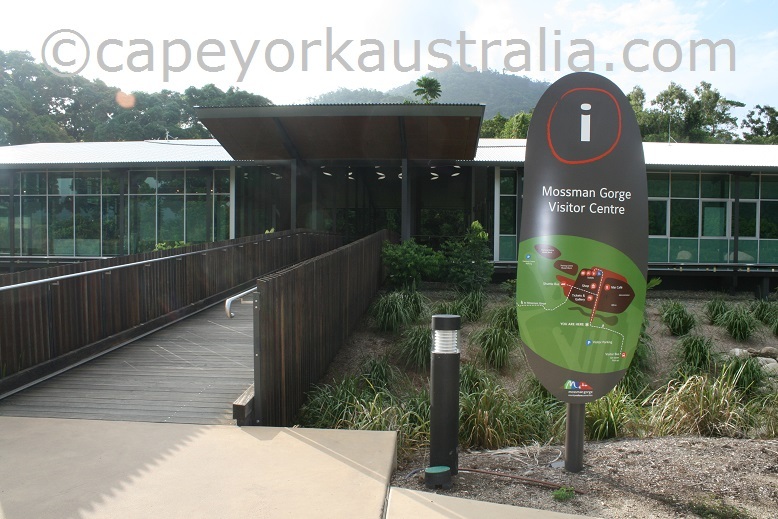 There is now the new Mossman Gorge Visitor Centre, a boardwalk and it is not a quiet swimming spot anymore. Visitor centre. All photos subject to Copyright - do not copy. But the nature itself is still just as nice! The start of the walk. All photos subject to Copyright - do not copy. Mossman Gorge lookout. All photos subject to Copyright - do not copy. 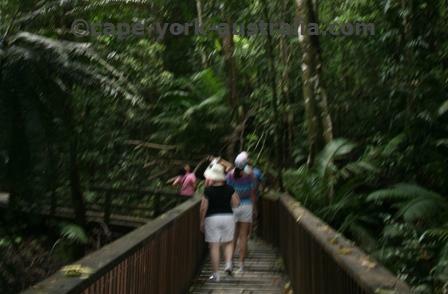 The rainforest walk. All photos subject to Copyright - do not copy. ... then across a new suspension bridge. The suspension bridge. All photos subject to Copyright - do not copy. 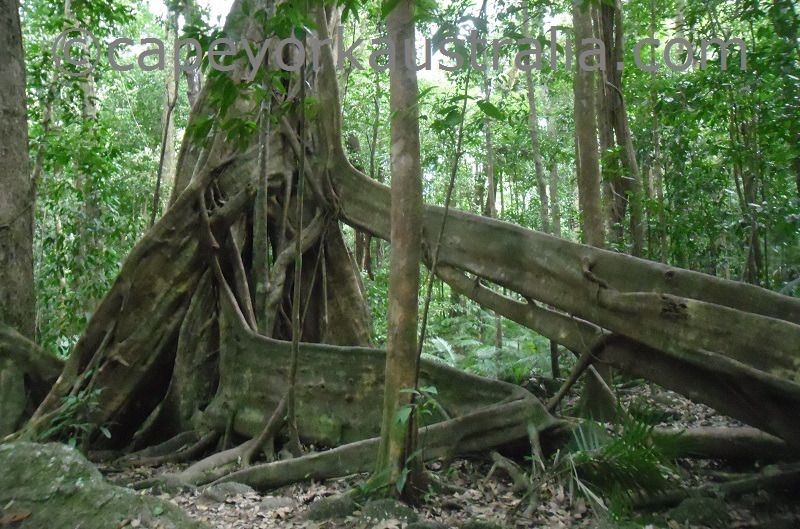 It goes past some massive trees with massive root systems ..
Large buttress roots. All photos subject to Copyright - do not copy. Wurrmbu Creek. All photos subject to Copyright - do not copy. 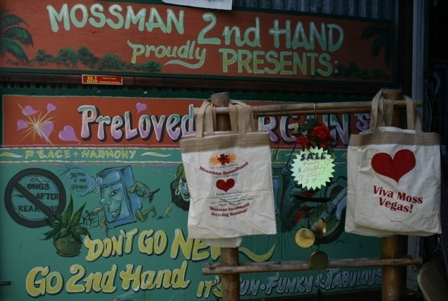 On this page you have some Mossman tours. Mossman is a small town in far north Queensland, surrounded by lush tropical rainforest and sugar cane farms, north of Cairns and Port Douglas. Thanks to the cane farms there is the Sugar Mill and you can take a tour in there during the cane cutting season (mid-July to mid-November) and learn how the cane is processed. 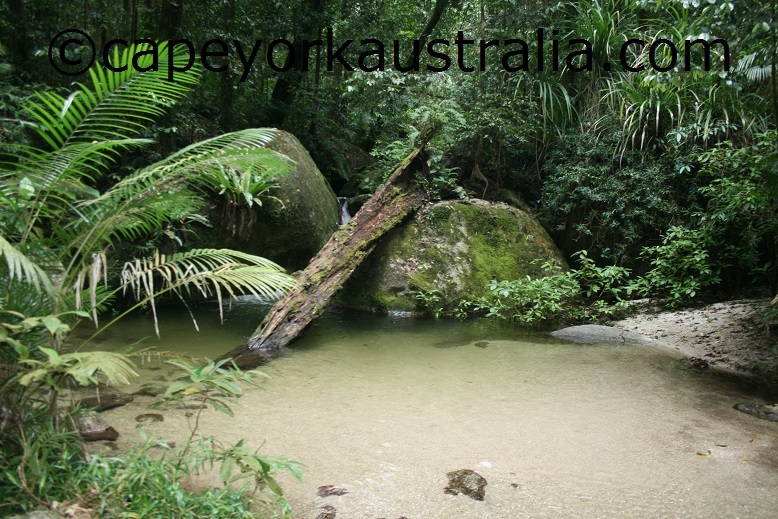 Thanks to the rainforests it is a beautiful lush and green place, and its number one attraction is Mossman Gorge, which is in the southern section of Daintree rainforest. 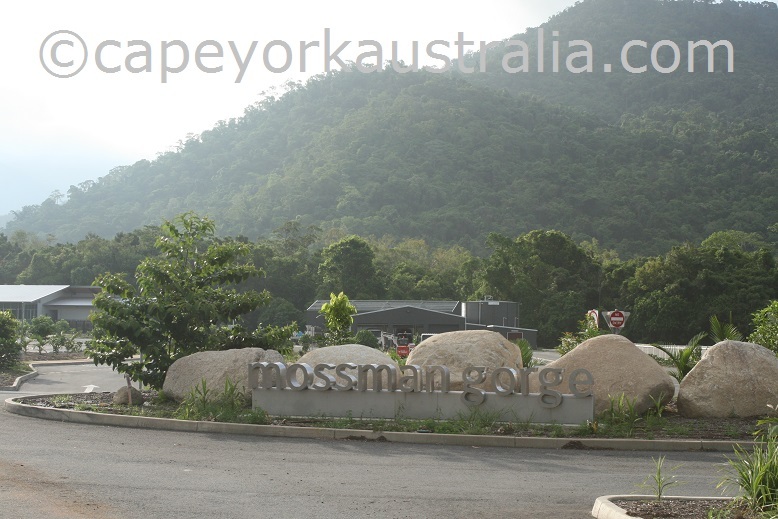 If you are in Mossman, you can either visit the gorge by yourself (restricted to the shuttle bus nowadays) or join one of the great Mossman tours run by the local Aboriginal people. If you are in Cairns, Northern Beaches, Palm Cove or Port Douglas, you can join one of the many Mossman tours from there. This tour departs from Cairns, Northern Beaches, Palm Cove and Port Douglas. 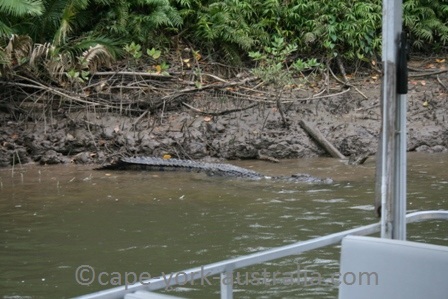 It takes you to Mossman and Mossman Gorge as well as the Cape Tribulation section of Daintree Rainforests and a croc spotting cruise along Daintree River. This tour departs from Cairns, Northern Beaches and Port Douglas. 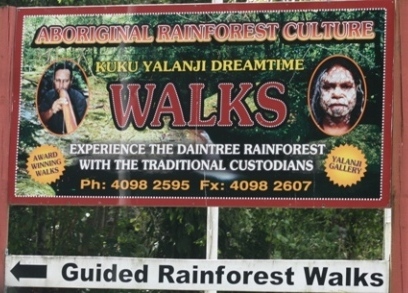 It is an Aboriginal experience and it takes you to Mossman town to visit its Aboriginal art gallery, as well as to beaches, mangroves, and rainforest waterfalls. This tour departs from Cairns, Palm Cove and Port Douglas. 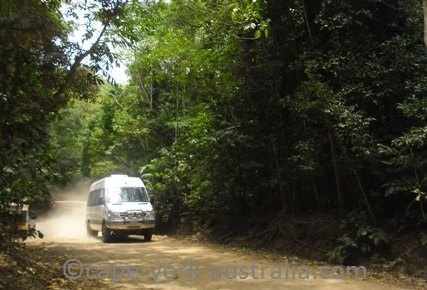 It is another Aboriginal tour and it takes you to the town of Mossman as well as the Gorge, and a croc spotting cruise on Daintree River. This trip departs from Cairns and Port Douglas. 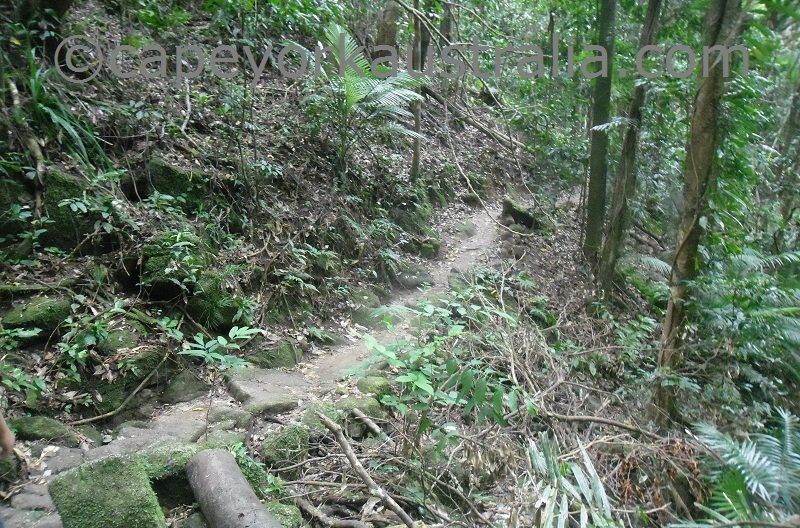 It does the Mossman town more briefly than the tours above, and focusses more on Daintree River, Cape Tribulation and Bloomfield Road. All tours details in the Destination Guide.